Give a GIFT CERTIFICATE from Breakneck Ridge by calling Toll Free 1-866-ME-SYRUP or Emailing us! BUFFALO SIGHTINGS!!! 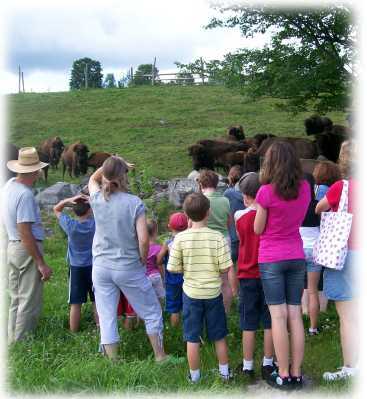 Bring the family and see the Buffalo in their environment feeding from the roadside. The adults and their babies will down by the road on Sept 5th, Saturday of Labor Day, until Sept 19th. The 2 year olds will be accessible Wed. thru Sat. for the weeks of Sept 17th and 24th and then will be in back of the cemetery. Friend us and receive weekly up dates with pictures. Click here for shipping info..... NEW!! Where you can find our products! 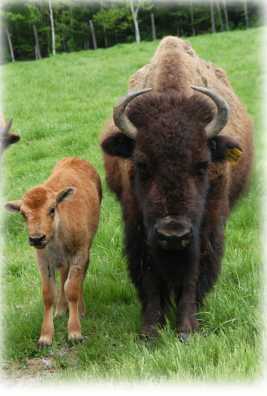 Our farm raised Bison (Buffalo) is a healthy low fat, low cholesterol, chemical free meat. Our pure Maine Maple Syrup is an unrefined sweetener available in a variety of sizes and containers.